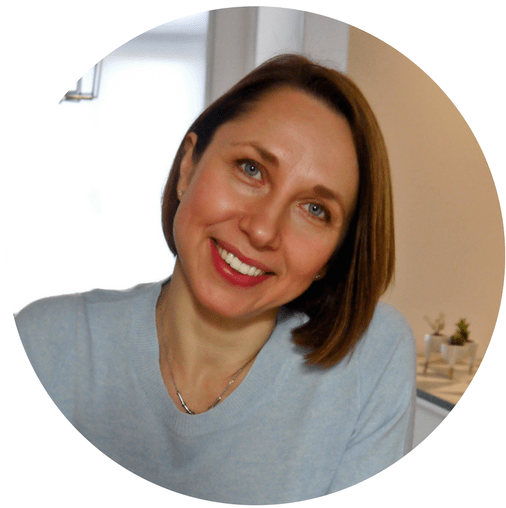 It is a known fact that many children have trouble chewing touch pieces of meat, whether it is their wobbly milk teeth or personal preferences that are to blame. If your kids are struggling with the texture of meat like mine do, this recipe will save you hours of failed kitchen experiments and lots of money. These meatballs have a secret ingredient which makes them extra tender and ultimately kid-friendly. And you do not need to memorize a long list of ingredients to prepare them. In fact, there are just 2 of them, not counting the spices and tomato sauce. 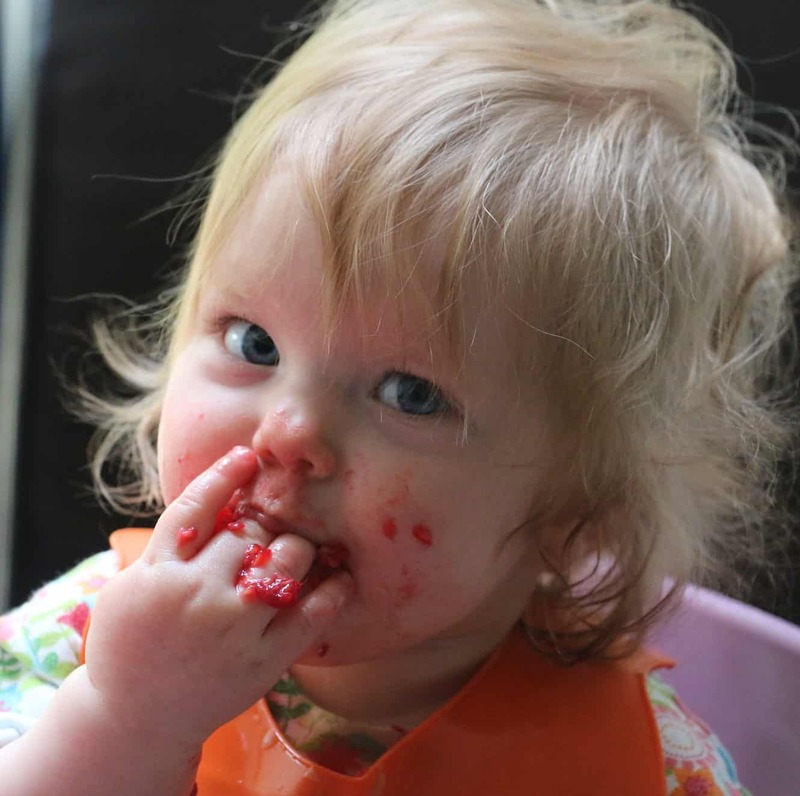 These meatballs can be a perfect iron rich finger food for your baby. It is critical for babies and children to get enough iron for proper growth and development. 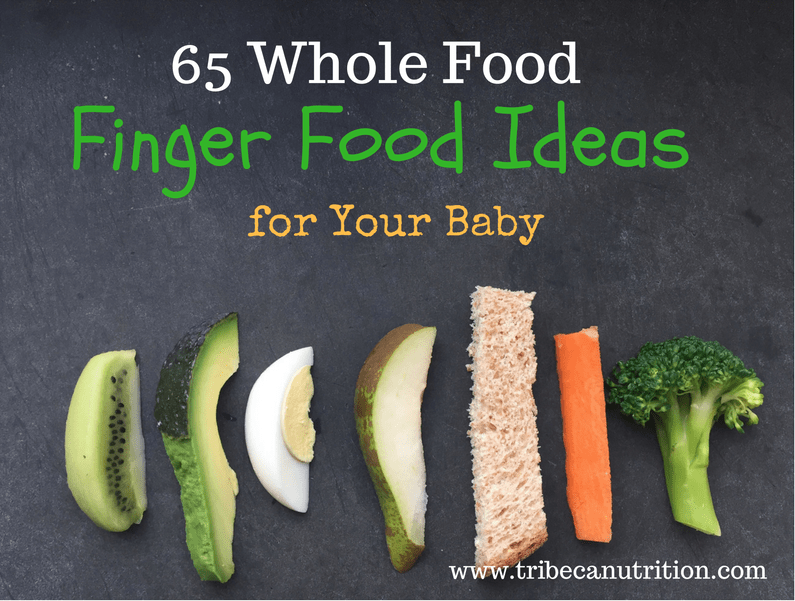 Read here about 14 super foods for your baby. 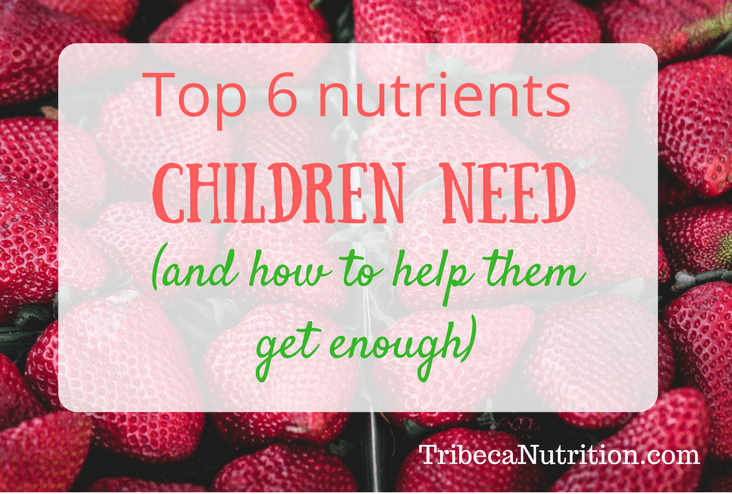 Or download this guide on 6 critical nutrients for children and how to help them get enough. If you are feeding a baby, avoid adding salt to the meatballs and look for a low sodium tomato sauce if using. My kids are happy to gobble them straight up as a finger food when they come out of the oven. But I always make a double batch and serve the leftovers with tomato sauce and spaghetti. Also, feel free to add to the sauce any vegetables that need to be used up. In my recipe, I used some sliced mushrooms, but you can add corn, zucchini, spinach or green peas instead. If you cannot use ricotta cheese due to dietary restrictions, try substituting with oat based creme fraiche or a similar dairy free product. Since it is also fermented, it will soften the texture of the meat just like ricotta. Optional: 2 cups of sliced or chopped vegetables like zucchini, mushrooms, corn, spinach or green peas. Preheat the oven to 180C/380F. Using a wooden spoon, mix the ground turkey, ricotta, salt (if using), pepper and dried herbs in a large bowl. Using wet hands, form meatballs about 2 inches in diameter, and place them on a baking tray lined with parchment paper. Bake the meatballs for 20 minutes or until cooked through and slightly browned. 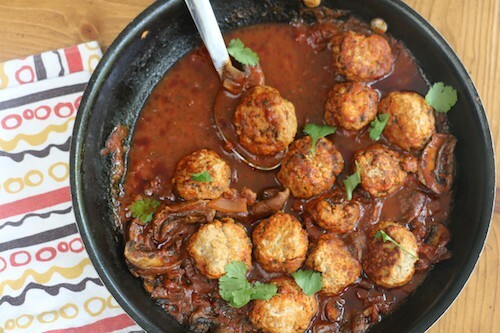 Serve as is or add them to a heavy bottom pan with the tomato sauce, water and vegetables and cook for 25-30 minutes for a delicious meatball tomato sauce to serve with spaghetti. 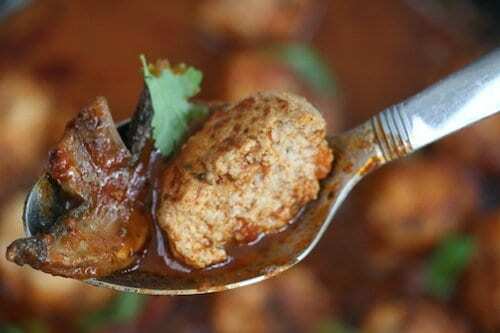 If you are planning to serve these meatballs to a baby, omit the salt. Once they are baked, cut in two and serve as a finger food. Tell me, what are your favorite ways to serve meat to your little ones? Iron worries me a lot as my son doesn’t prefer meat, especially red meat. And I know that non heme iron isn’t absorbed as efficiently as heme iron, so I’m always puzzled whether we reach the daily recommended iron intake. I would love to see a blog post by you solely on iron as you did for protein. That was highly informative and I thank you for that! Yes, it is in the works! Iron is a tricky issue because its absorption rates vary so much depending on the source and combination with other foods. The recommended amount is based on the non-heme iron absorption levels. We also know that iron from breastmilk, although minimal, gets absorbed more efficiently. So even if a baby or a toddler avoids red meat, he may be getting enough iron if you serve iron rich foods at least twice a day. I’m not a fan of ricotta cheese – do you have a recommendation for a substitute? It is not likely that you will taste the cheese or feel the texture in cooked meatballs. It acts mostly as a marinade and melts right into the meat while cooking. You can try adding a little yogurt or sour cream instead, but no more than 1/4 cup, otherwise the texture will be too runny.